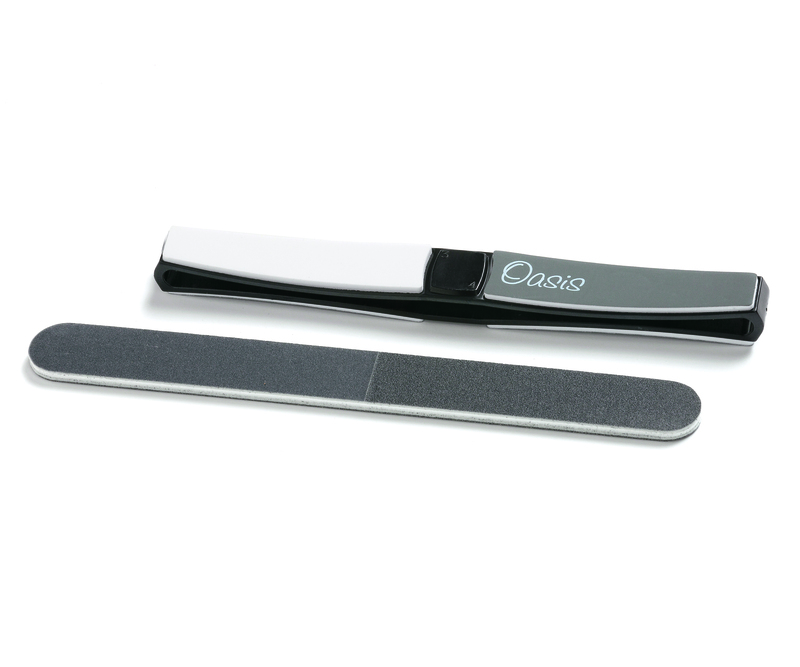 I have been using the OH-19 nail shaper since we introduced it a few years ago. I really love it! The problem I had was when my nails grew too long. The 320 grit just took too long to reduce the length of the nail. The solution was to add a coarse nail shaper. The OH-19C contains the regular OH-19 (320/600/1200/3000 grit) plus a second coarse nail shaper (100/180/240/400 grit). Problem solved! Flat rate shipping whether you buy one or multiple. Buy a spare or gift a friend!